Warning: This review includes minor spoilers for Fantastic Mr. Fox and Isle of Dogs. After watching Wes Anderson’s Fantastic Mr. Fox and finding myself unsatisfied, I delved into this new movie with hopes of giving him another chance. The mere teaser trailer had charmed me in its own weird way. As a fan of creative works that encompass bigger stories, I found myself bubbling with excitement. Isle of Dogs retold my Fantastic Mr. Fox days. The art style and dialogue was familiar, though it still deviated from the childish storytelling of the older film. With risk-taking resolve for muted colors and heart-breaking songs, striking stop motion and a whole new story was told in a refreshing manner – while still aiming for a friendly and lighthearted atmosphere. The situation itself was already completely eccentric and distinctive to me. It was unexpected that a movie with young demographics addressed political situations and social structures – and, in a community of animals, nonetheless. The Kobayashi Dynasty campaigns the expulsion of dogs all over Megasaki City, stating that dogs are the cause of “Dog Flu”. All dogs are exiled to a place called Trash Island, including beloved bodyguard dog, Spots. As a result, Spots’ owner, Akito, sets himself on a journey across Trash Island where he meets new friends that help him along the way. And all the while changing the lives of both humans and dogs for the better. Isle of Dogs clearly holds a much more serious tone than Fantastic Mr. Fox. Even colors were muffled: the dirty yellow of Trash Island, the restrained splotches of the supporting dogs, or even the pale clothing of Akito himself. It encompassed the story well – allotting a clashing of hues in the transition from the dystopian Trash Island to the buzzing Megasaki City. 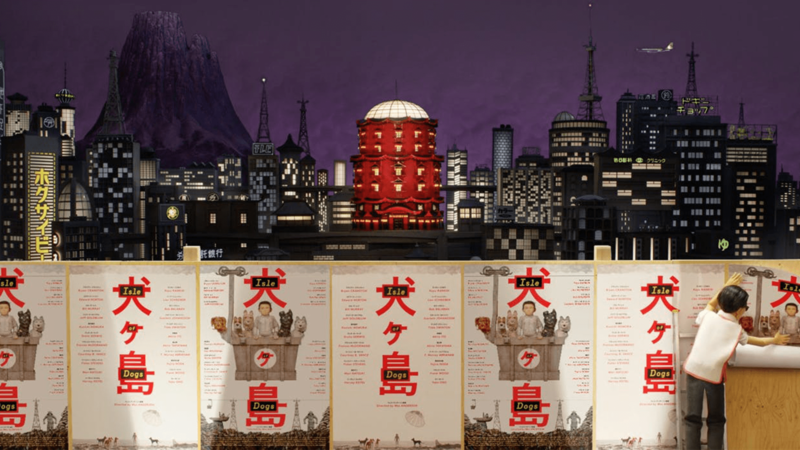 Unlike Fantastic Mr. Fox, which often switched to a first-person point of view, Isle of Dogs focused on the third person; giving insight into the events going on in both Megasaki City and Trash Island. Viewers were not only given the story of Akito and Chief, but also the story behind Spots; while exploring the political events of Megasaki City and the Kobayashi Dynasty. I appreciate that the film also did not censor their characters: they utilized real curse words, showed a dampened version of gore, and were unafraid of introducing the idea of pain and death to create a sense of dread or heart jumping suspense. The film was brave enough to connect the viewers with the reality of the situation, and the sentiments of the characters. However, the dialogue was difficult to follow. It switched from English to Japanese without subtitles provided. This was vexing at the start, but held its own personal captivation. After getting through the entire movie, and watching the Akito’s journey, I realized that there were so many barriers between the dogs and the boy. These barriers did not stop either from caring for each other. To emphasize the growth of relationships, the pacing was purposefully much slower. It obviously took its time to focus on the journey rather than the fight scenes, or even the dialogue. Despite its obvious differences from Fantastic Mr. Fox, the two films still share the same Wes Anderson atmosphere. The use of stop-motion was fun. Characters were extremely detailed; from the buttons of Mr. Fox’s suit, to Chief’s black nose. The characters’ designs were also based off their individual attributes. Ash – Mr. Fox’s son – who was short and burly, bright red and white, was known for his impulsive actions and hot hotheadedness. While Christopher – Mr. Fox’s nephew – thin and lithe, pale and white, was always calm and collected. The supporting characters in Isle of Dogs who each wore clothes. Each also had a different type of breed – and this told of their temperaments as ex-house pets. Chief, who was dark, black and shaggy – foreshadowed his rabid personality as the street dog he has always been. The silliness of both movies was just as intense as one might expect from Wes Anderson. Foxes driving tricycles and extremely speedy digging were weird. I have to admit, these hyperboles were imaginative. However, they seemed to be there simply to catch the attention of younger viewers. On the other hand, Isle of Dogs still held the sense of childishness despite opening itself to death, gore, and actual curse words. The film used the shaky cloud of dust to integrate amusement into fight scenes. Spots could spit his own teeth and enticed damage as if they were actual bullets. A twelve-year-old boy seemed to pull a screw driver from his head without so much as bleeding out or dying. In Fantastic Mr. Fox the film’s weird quirks seemed unnecessary, and did not deviate from the theme of the story. Conversely, the ridiculous and the serious were balanced out in the Isle of Dogs, while still remaining somehow plausible. 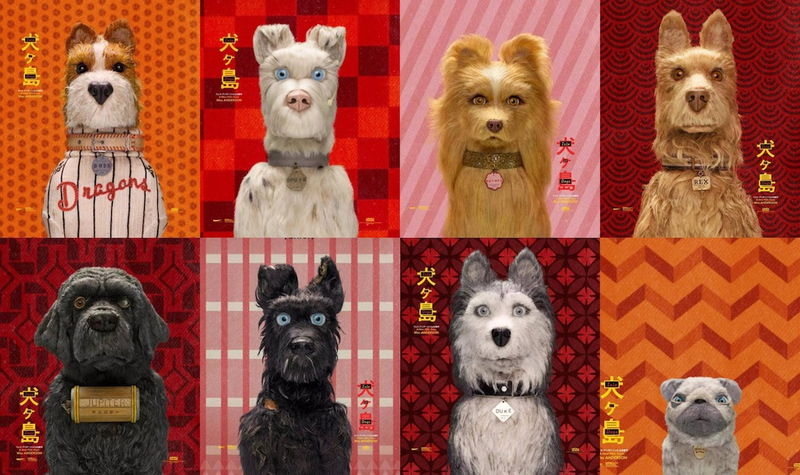 Isle of Dogs is one of Wes Anderson’s better movies. This is probably because Fantastic Mr. Fox came off too silly for me, and was aimed at much younger demographics. Mr. Fox did not deviate from its main theme – the development of a fox who balanced himself between his civilized fatherly side and his instinctual side. It left me with an impression that Wes Anderson underestimated how a child would think. As if it was essential to constantly strike bright colors, exaggerated actions, or even censor curse words with the use of “cuss”. Mr. Fox forced its humor too much, that I didn’t find their jokes funny as a kid, nor did I find them funny when I watched the movie again. As for Isle of Dogs, I believe it shows just how much Wes Anderson has evolved as a filmmaker and as a storyteller. He no longer underestimates the ability of children’s minds, nor is he unafraid to appeal to the adults who may watch his movies. I’m glad that he seems braver when addressing certain issues; all while keeping his signature art style and filming techniques to tell a story with exquisite character development and relationships between family and friends. Have you seen Isle of Dogs? Let us know what you think in the comments!